The bunny is back! It returns in a very modern version made of porcelain – the latest on-trend material – in vibrant colours. 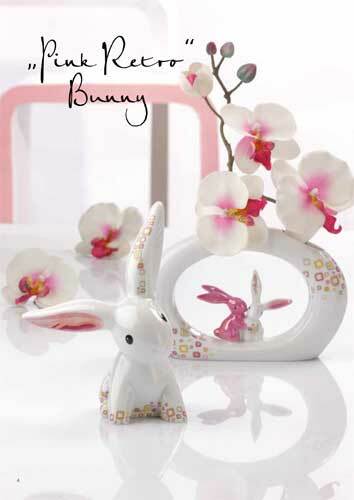 The cute and humorous little bunnies fulfil their decorative purpose eminently. Luxurious, brightly coloured and extroverted, the new bunny is as de luxe as it comes! The trend-orientated „bunny de luxe*“ series is part of a longstanding tradition that began with the designs of the mastermodeller Arthur Möller in the 1930s. 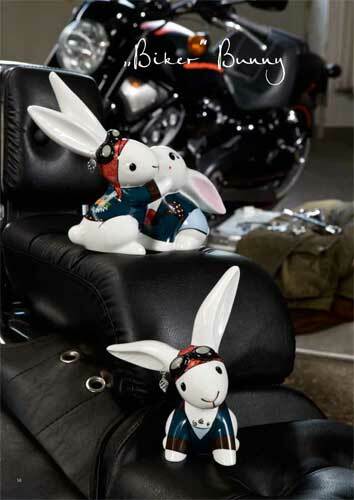 Goebel Porzellan GmbH works frequently retrieves one of its traditional designs from the archives and has now decided to return these humorous bunnies to our shelves and tables. Most of all, they have found a place in the hearts of people who like to make thoughtful gifts. Animal-print bunnies are adorned with a stylish leopard-, tiger- or	zebra-look and feature a very modern palette of colours - from “apple-green“ to “orange sunrise“ and highly “glamorous“ caramel. 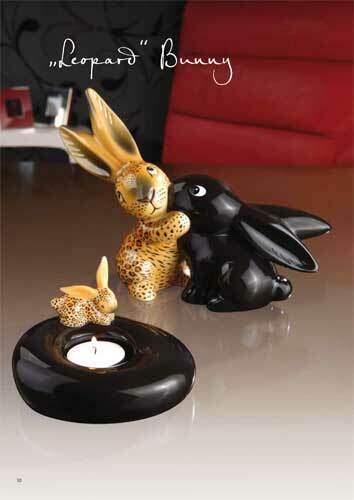 Boxes, plates, tealightholder and vases are also available in a design to match the bunnies. The smallest of them all - the mini bunny as shown in the display - is available as a special design in lively Easter shades. After the Bunny has returned very successfully from the Goebel archives, here is the Kitty! 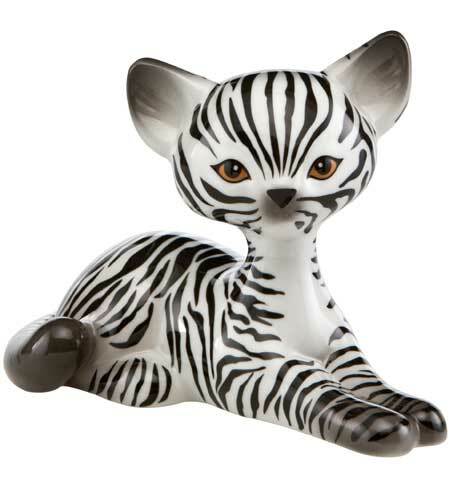 The new house cat - whether dressed up with a cool leopard or zebra look, elegant as “Turkish Van”. Kitty with golden ornaments - will not only delight cat lovers. 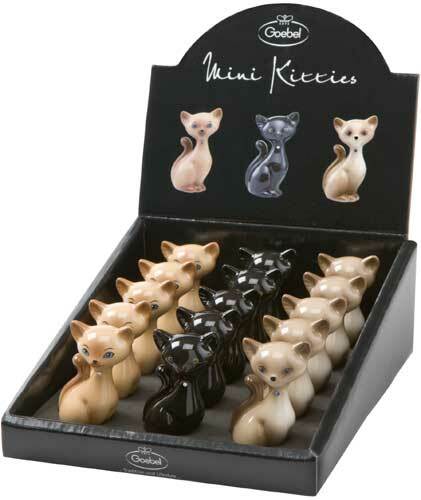 The most beautiful designs are also available as mini versions in display or as „Mini“ Kitty keyholder out of metal decorated with real Swarovski® stones. 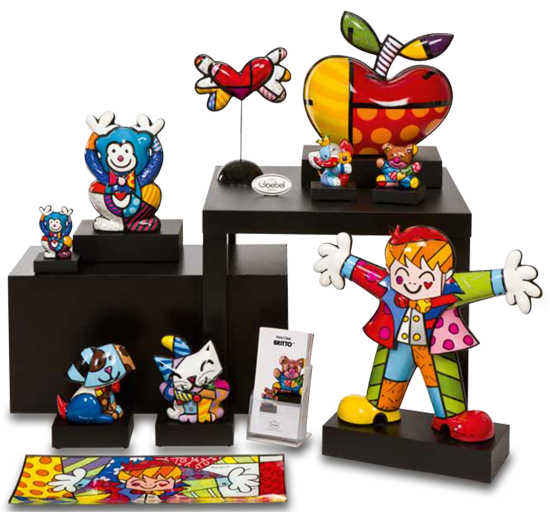 The design team of Goebel has repeatedly and successfully revert to a traditional form of inventories of the archives and was now inspired by browsing the collected treasures to the new series “Kitty de luxe”. 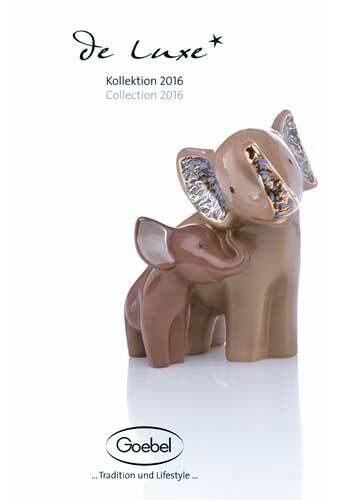 The elephant is understood as a positive symbol respresenting wisdom and self resting strength. His character embodies reliable carrying capacity and intelligence. The names of our elephants stand for the necessary commitment to preserve this beautiful species. We chose the names of elephants that already could be rescued in Africa. Goebel - Bunny de Luxe. The Bunny is Back!